you have this level of security? Daily Safety Check was originally created to protect high-risk banking systems, and today their technology protects over $3 billion in assets. The founders of Daily Safety Check realized that the same technologies and methods used to protect banks, which are constantly under attack, could be adapted to protect home and small business computers. Any top quality security system has principles, whether guarding a high risk computer system, or protecting a building, or even bodyguards protecting the president: prevention, detection and response. We use our computers every day to communicate, connect with family and friends, share ideas, work, finance and keep up with the world that’s changing in front of us. What if you woke up one day and your information or data was stolen or compromise by internet criminals? Millions of people have viruses on their computers right now and have no idea that their passwords, financial information, and data have been compromised. That’s because computer virus protection is not enough. 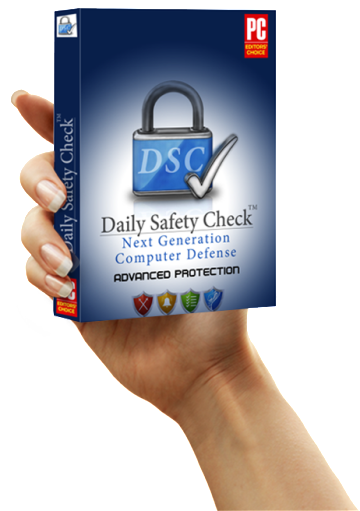 Daily Safety Check is the next Generation of Computer Protection. We invested time and money to create something that would provide web protection, 24/7 advanced monitoring agent, bank-strength security, malware protection, weekly reports, and real-time monitoring for hacker and attacks. Reality: Antivirus is only a small part securing any computer. Reality: Hackers are increasingly focused on home computers. Reality: Most viruses and malware don’t slow down or crash your computer. 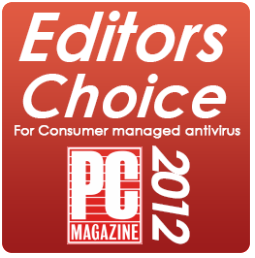 Every computer protected by Daily Safety Check Home Edition automatically includes Bitdefender Antivirus! Daily checks and updates security & firewall settings. We look for signs of an attack, even if that threat isn’t protected by antivirus software. 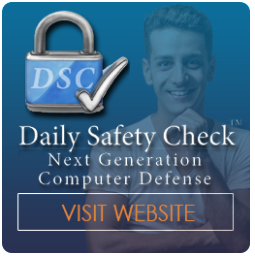 Daily Safety Check has security professionals standing by 24 hours a day to help defend your computer. Real-time email alerts in case of an attack. We will make sure that you’ll never be caught unaware again. Assess the threat to your computer and provides computer forensics to understand what was compromised. "I renewed my subscription to the DSC home edition and during the last year I did not have ONE, not ONE issue with viruses, malware, spyware or anything else. I've had Norton, McAfee and many others and not a single one protected my computer the way DSC has. Get this! You will be glad you did." 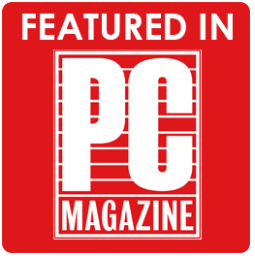 "I purchased DSC Home Edition two weeks ago and it downloaded so seamlessly. I never knew it was even doing it's job until I got my first weekly report. My 2nd report just came and thus far nothing has gotten through. Previously I was having to clean up from 5 to 15 viruses per week. DSC is a great product. I hope & trust they'll stay ahead of the hackers." "Incredible service and a hard working group of experts. I can't believe that I had never heard of this group before. I've tried Norton and McAfee and compared to DSC, they are worthless. Daily Safety Check all the way!" 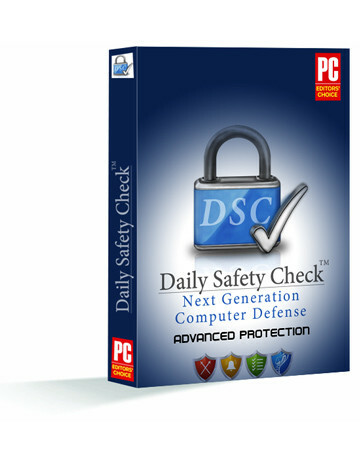 "After trying various security suites I have finally found DSC, the perfect solution for my PC protection. Thank you very much." "I love your product! It has protected our home computers wonderfully! Good job! Thanks!" Would you like to Learn more about Daily Safety Check? Daily Safety Check was originally created to protect high-risk banking systems, and today their technology protects over $3 billion in assets. Call our toll free support line AT 1-855-372-2769 to speak with a DSC Security Specialist.